On ‘Snakes & Ladders’, Wiley’s fourth album with Big Dada, he reminds you exactly what this pioneer of the Grime sound is all about. Innovative, banging beats and fast, scattershot, brilliant rhyming, all held together by a personality that is as compelling, contradictory and charismatic as any in modern music. 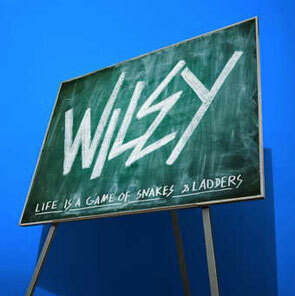 ‘Snakes & Ladders’ is Wiley’s Magnum Opus; a blistering, blazing, rallying call for grime’s first renaissance. Lead single ‘On a Level’ is already regularly on the airwaves on daytime Radio One, and as JME puts it on From The Outside, “Wiley is a national treasure.” The off-the-cuff tempo of his vocal poise is something many of his peers will be aspiring for. 'Snakes & Ladders' is out today on Big Dada.